Local Growth Fund is Government’s funding pot of at least £2bn a year from 2015/16 to 2020/21. The City Region has a number of funding streams to support economic growth. In 2012 the LEP secured £15m RGF to operate the Business Growth Grant this programme is now closed. 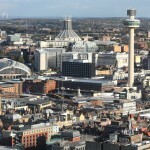 The SIF is the key funding tool for promoting economic growth for Liverpool City Region.